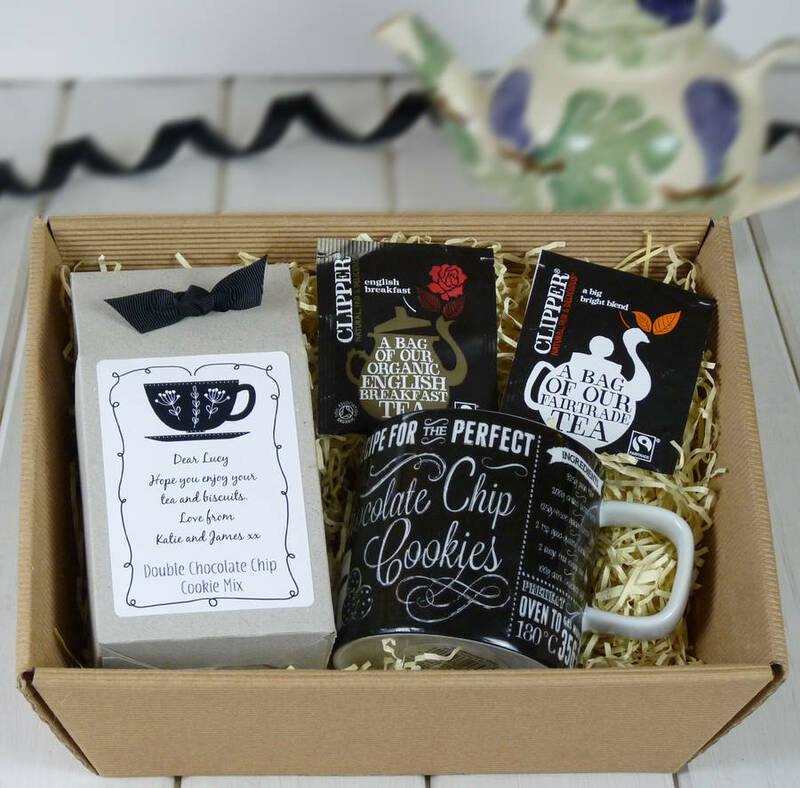 A fun "DIY Tea and Biscuits Hamper" containing a mug, Fairtrade tea and a foolproof mix to make delicious biscuits. 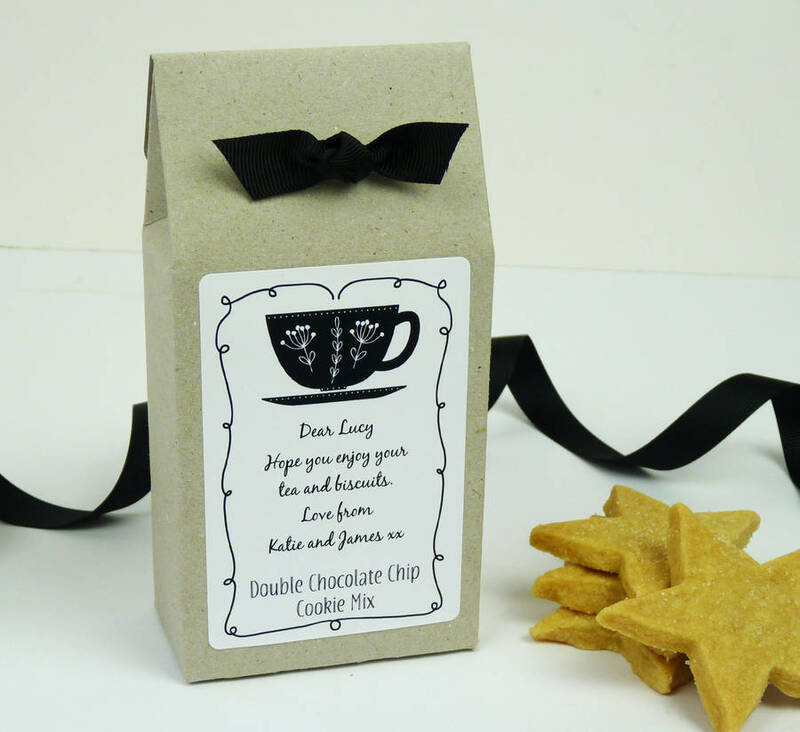 A wonderful and fun gift, to enjoy tea and your own homemade biscuits. 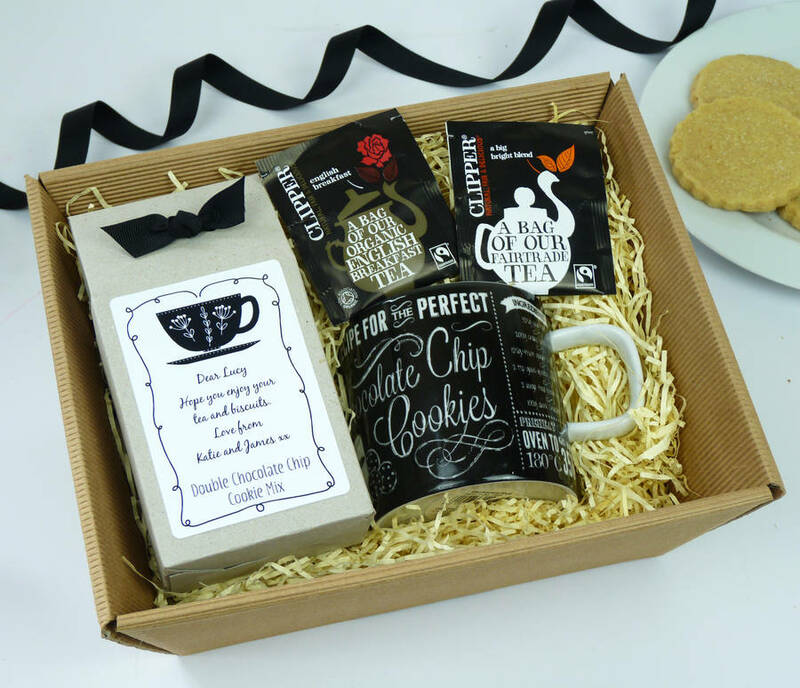 - One of our foolproof biscuit mixes, in your your choice of flavour, packaged in a stylish box, which can be personalised with a special message. 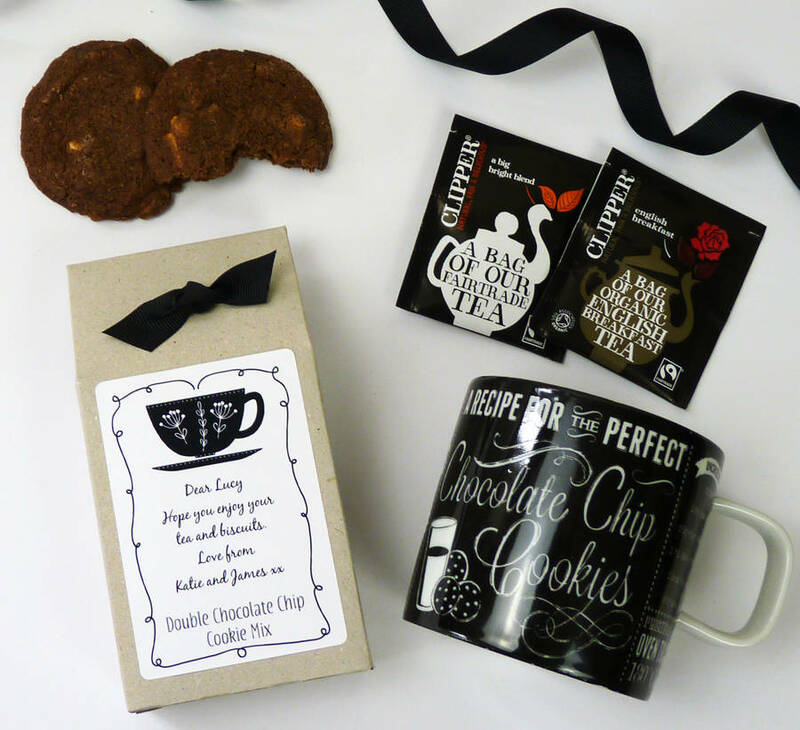 Choose which flavour biscuit mix you would like to include in the kit. 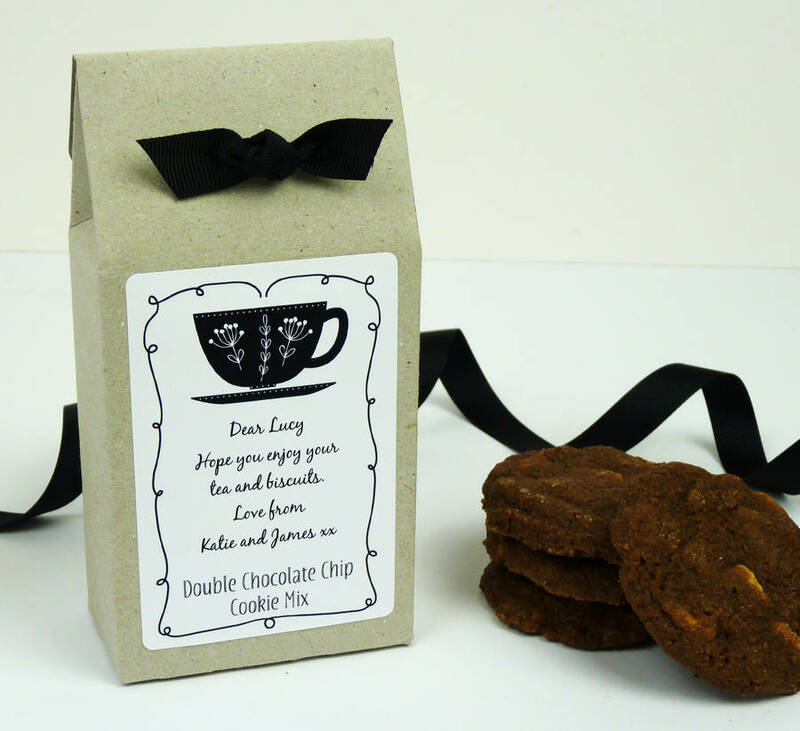 Choose between our Rich Shortbread Biscuit mix or our Double Chocolate Chip Cookie Mix. 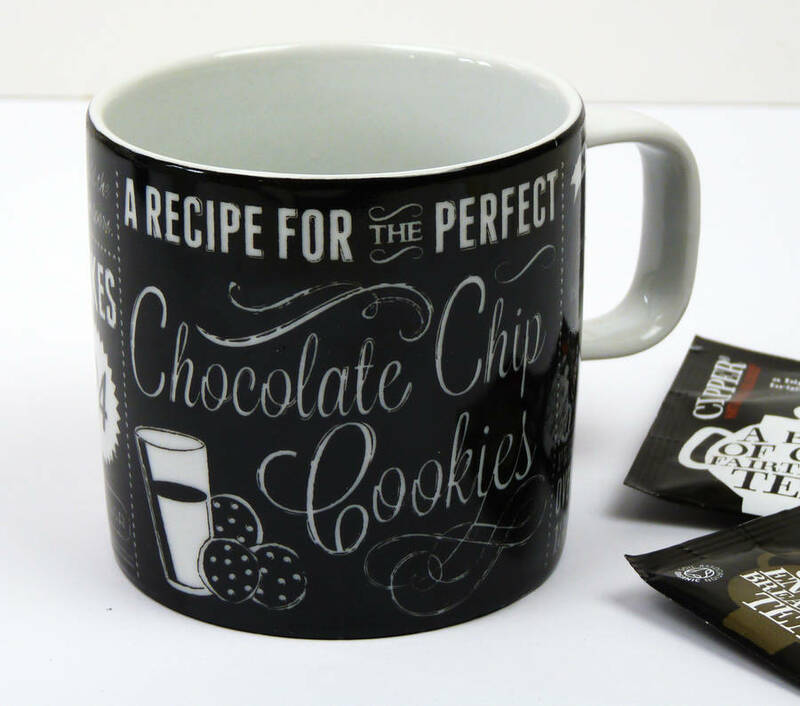 The biscuit mixes, which are blended by hand, contain the highest quality ingredients, including British flour and no artificial colours or flavourings. Each mix just requires the addition of melted butter (or dairy free alternative) to make delicious cookies. Full baking instuctions are included. 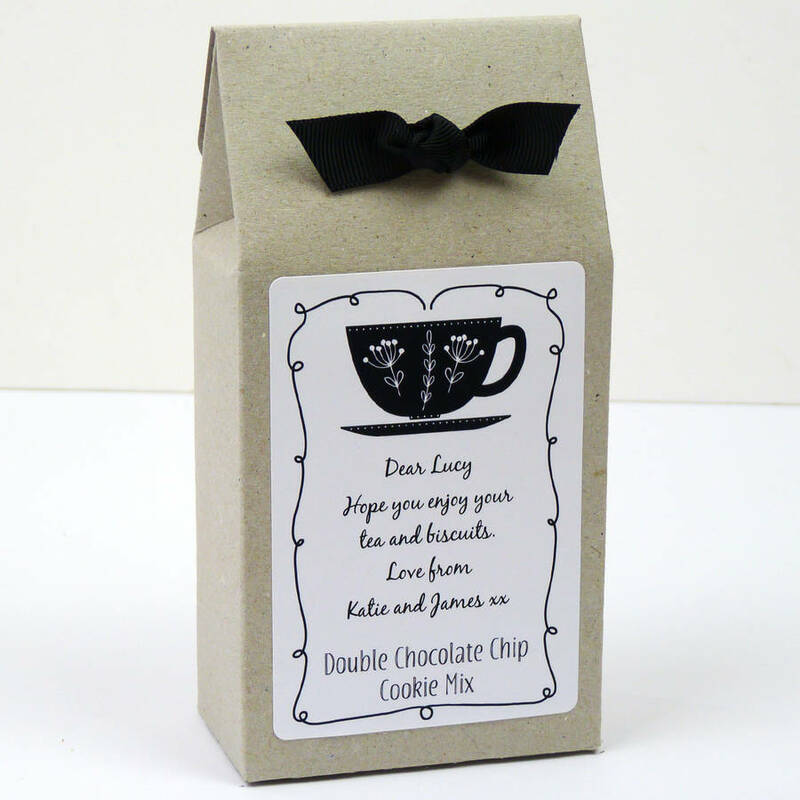 The wording on the biscuit mix labels can be personalised with any short message you would like. Please enter your message in the relevant box when placing your order. None of the mixes contain nuts but they are produced in an environment which handles nuts.